Lovers of a game of monopoly will delight in knowing that they will soon be able to immerse themselves in Bangkok’s very own version, fully equipped with they city’s iconic landmarks. The Siam Kempinksi Hotel Bangkok is set to bring back the all-time family favourite board game with added glitz and glamour, Thai-style. 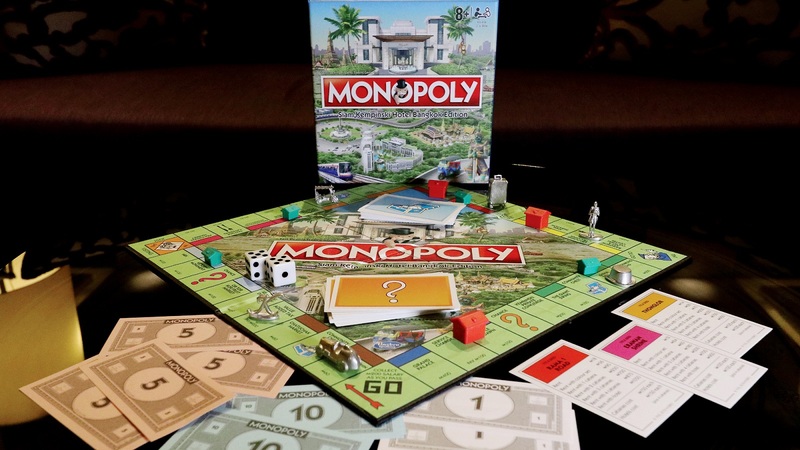 “Monopoly – Siam Kempinski Hotel Bangkok Edition” (licensed by Hasbro) will make its highly anticipated debut in August 2018. In this special edition, players venture to become a Bangkok property tycoon by acquiring all of the city’s major landmarks, roads and properties. Potential “purchases” include Thonglor and Sukhumvit roads, snazzy shopping malls such as Siam ParagoVictory Monument, the Temple of Dawn (Wat Arun) and of course, the Grand Palace. This comes when the need to travel back in time to a place where technology did not dominate human interaction is essential. Nothing beats the quality-time that comes with a good old-fashioned board game. If you’re interested in getting your very own copy of the legendary board game, you will have to book a suite for a minimum of two consecutive nights via the hotel’s website to receive your complimentary copy. The “Monopoly” accommodation package is available from August 2018. For more information, please visit www.kempinksi.com.